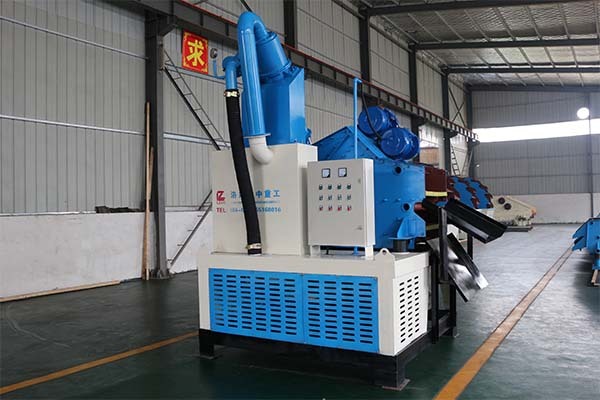 Sludge dewatering machine is a mud purification device. The main function is to quickly remove harmful solid phases in the engineering mud, such as fine sand, stones, bark, grass roots, and domestic garbage. After the harmful solid phase is removed, the remaining clean mud can be returned to the engineering pile base hole for recycling. 1. Balance the water pressure and form a thin mud screen on the hole wall to prevent collapse. 2. Suspension and carrying drilling slag, the drilled sand material is removed from the hole as soon as possible by circulating mud, preventing stuck drilling, embedding drilling, and improving hole forming efficiency. 3. Cool the drill bit. 4. lubrication, reduce the resistance of the drilling tool cutting soil layer, improve the service life of the machine. 1. The full purification of mud is beneficial to control the performance index of the mud, reduce the stuck drill accident, and improve the quality of the hole. 2. The effective separation of soil is conducive to improving the efficiency of the hole making. 3. The repeated use of mud, is conducive to saving pulp materials and reducing construction costs. 4. The closed loop mode of the mud and the low moisture content of the feed are conducive to reducing environmental pollution. 5. Can be used as one of the river dredging equipment to use the slag.